The three explosions that took place in Brussels on Tuesday has put the entire world on high alert. At least 34 people were confirmed dead and another 250 people injured, though officials have yet to release official numbers on the victims as of Wednesday morning. With the U.S. issuing a travel warning for all of Europe, the question on everyone's mind is whether more attacks like Brussels' will happen in the near future. According to CNN, soon after the Brussels blasts, ISIS supporters on Twitter shared an ominous post that said, "What will be coming is worse." It's a familiar threat from the terrorist group but no less frightening. Belgian authorities long anticipated a rise in terrorist activities within the country's borders, particularly as more nationals return home after spending time in Syria. 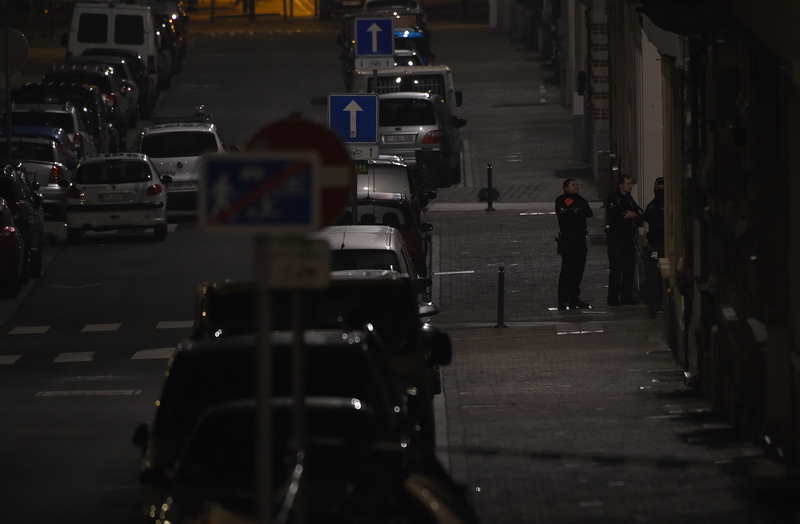 Authorities also believe that last week's arrest of Salah Abdeslam, a Belgian suspected of being involved in last November's gruesome Paris attacks, may have accelerated the timeline for Tuesday's blasts. A photo from airport security footage showed three suspects in the attack, two of whom were believed to have been suicide bombers and caused the two blasts at Brussels Airport. The third suspect remains at large, and a massive manhunt has continued into Wednesday. The likelihood of future terrorist attacks is high, and nations across the world have added security to high-trafficked areas as well as asked their people to be cautious. If you're currently traveling in Europe, it's probably best you follow the State Department's advice. On Wednesday evening, the State Department warned Americans abroad to "exercise vigilance when in public places or using mass transportation. Be aware of immediate surroundings and avoid crowded places. Exercise particular caution during religious holidays and at large festivals or events." The U.S. travel warning to Europe remains in effect until June 20.